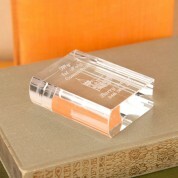 A miniature crystal book is the perfect gift to give to a child who is celebrating taking their First Holy Communion. 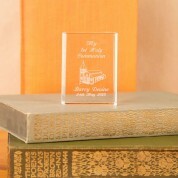 This glass keepsake with a church design will match in with any home deocr and can be placed on a desk or mantelpiece in the home. 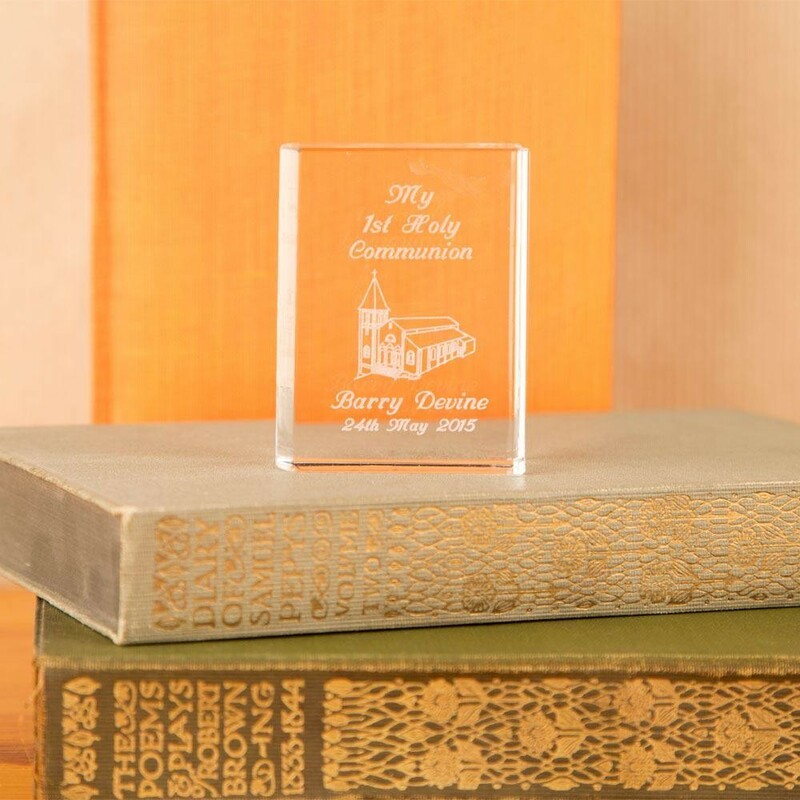 We personalise each glass block in house so we can add any title ('My 1st Holy Communion' etc), recipient's name and date of occasion. It is great ready in a little presentation box so is ready to give to the recipient and can be stored away in it when it is not in use. Dimensions: approx 2 inches x 1 inch.